Cole Edwin McFarland passed away on July 17th, 2008 in Rancho Mirage, California after a battle with cancer. Cole combined the hard work of a pioneer that grew up in a mining family working in a remote Alaskan placer mining camp with the responsibilities of being President of a large, international mining company. Working for Placer (later Placer Dome) brought Cole onto the world stage of mining. To almost everyone that he would meet, know, or work with, Cole McFarland was considered the consummate gentleman. "I worked with my father at various odd jobs while he was operating his Ophir district placer mines, but my first real job in the mining business was working for Toivo Rosander on Yankee Creek, where I operated a bulldozer and also manned the sluice box." 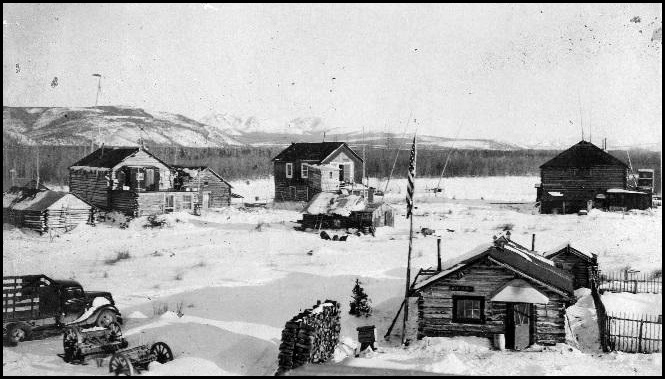 Ophir, Alaska, circa 1936, where Cole would spend summers working for his father, Isaac, and later, Toivo Rosander. 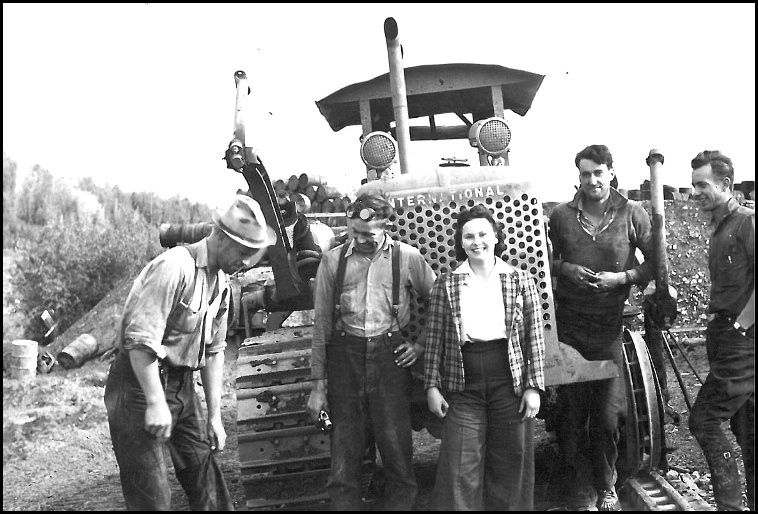 Cole's parents, Margaret (Peggy) McFarland (right); Isaac McFarland (left with headlight), Ophir district, circa late 1940s. 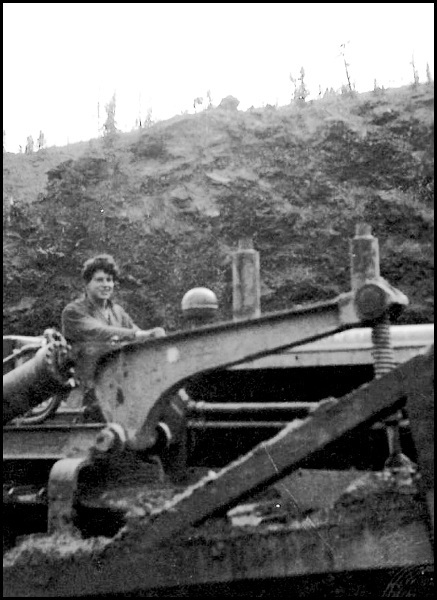 Sixteen year-old Cole McFarland operating International bulldozer for Toivo Rosander on Yankee Creek, circa 1946. Photo from McFarland family files. "One year, I replaced Cole on the Beaton and McFarland gold dredge when he left for his studies at Washington State University". Cole received his degree in Mining Engineering from Washington State University in 1954. While going to school he continued to spend the summers placer gold mining in Alaska and in the Yukon, salvaged machinery in Bermuda, and spent time as a deck hand/engineer on Yukon River commercial boats. Cole joined the U.S. Air Force in May of 1954 and served two years at Elmendorf Air Force Base near Anchorage as a heavy equipment repair officer in the 5039th Motor Vehicle Squadron. 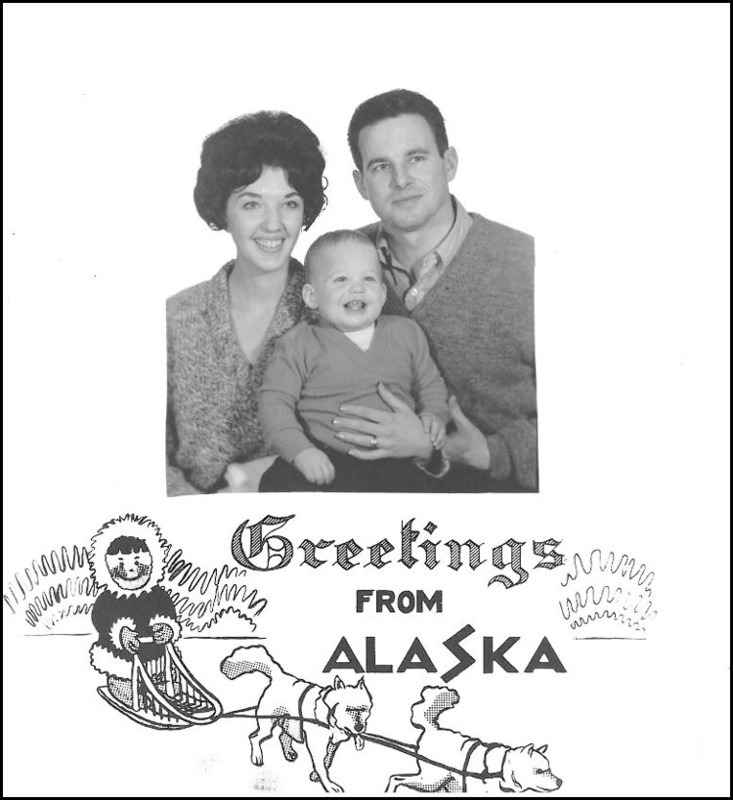 Cole married Sherry Hackett on April 29, 1960 in Anchorage. Cole had met Sherry while skiing in Reno, Nevada, where Sherry was working as a professional dancer, performing in shows with celebrities such as Tony Bennett. They lived in a one room house on the Evan Jones coal mine property near Palmer (which was quite a change from the bright lights of Las Vegas and Reno for Sherry!) where son Bryan Cole McFarland was born on December 21, 1961. In 1964 following Cole's promotion and move to San Francisco, the couple welcomed their daughter, Roxiene Elizabeth McFarland into the world on February 11, 1964. Dragline removes overburden at A-3 pit, Evan Jones Coal Mine, circa 1958. Cole McFarland designed the transition from underground mining to open castmining during the late 1950s. A Career with Placer Development/Placer AMEX/ Placer Dome U.S. Inc.
From May 1956 to April 1957, Cole prospected in the Yukon Territory where he first made contact with the Placer group of companies. Cole was prospecting in the Hart River country north of Dawson City. Joe Adie, a senior geologist with Placer Development, was sent to examine the Hart River copper property which his father, Isaac McFarland, and two old timers controlled. Cole and Joe flew into a nearby lake and packed 17 miles to the showing. Over the next week, Cole helped Joe sample the deposit and became very interested in the Placer organization and hard rock exploration. Cole had always planned on working with his father in the alluvial placer mining business, but this chance meeting with the Placer geologist changed his mind and he decided he wished to work for a major company with exploration programs in the North. Cole went to work for Placer as an exploration engineer in the spring of 1957. After two years exploring for new deposits, he was promoted to Superintendent and Manager of the Evan Jones Coal mine near Sutton, Alaska, where he participated in and later was responsible for coal marketing and governmental affairs to hold off conversion of markets (local power plants) to natural gas. In 1964, Cole was promoted to Vice President (functionally Manager of Mines) for Placer Amex Inc. in charge of the Evan Jones Coal Company near Palmer, Alaska and Iron Age Mine in Southern California. This promotion required that he locate to Placer's San Francisco office. 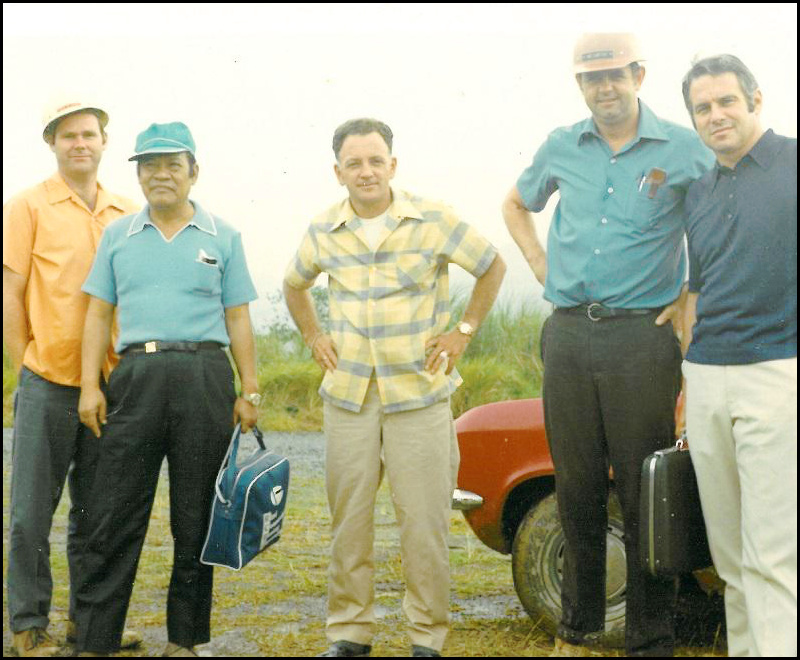 From June 1971 to August 1974, Cole served as Vice President, Operations for Marcopper Mining Corporation in the Philippines. He was responsible for mine operations on Marinduque Island and initiation of long range plans for mine waste and tailings disposal, and expansion of mining claims to secure adjacent ore zones. Cole McFarland in his San Francisco office of Placer Dome U.S. Inc. more than 40 years later. 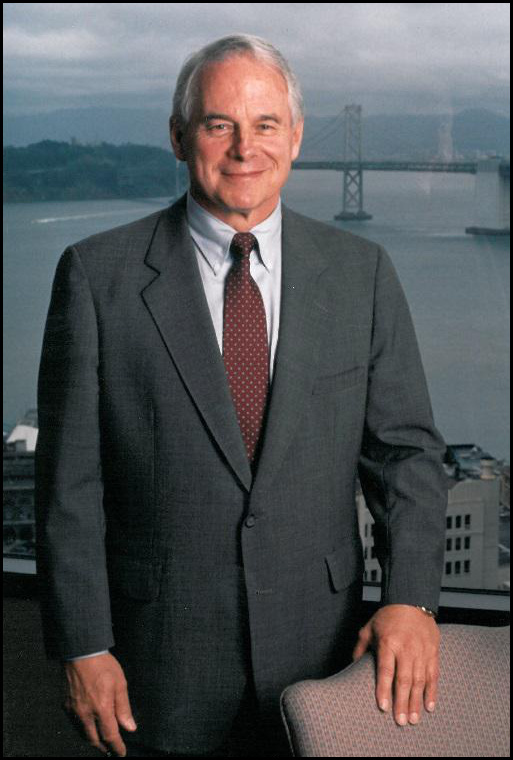 In 1974, Cole returned to San Francisco and reassumed duties as Vice President of Operations for Placer Amex Inc., which later became known as Placer U.S. Inc. He was responsible for mine development of the McDermitt mercury mine and resumption of operations at Cortez Gold mines both in Nevada, the development of Beluga Coal properties in Alaska, as well as overall direction of the U. S. coal program. "From an Alaskan perspective, Cole worked very hard to make the Beluga Coal Project viable, but the economics never quite worked out, which was a big disappointment for him." In the 1980s, Placer Development increasingly became focused on gold throughout the world and Placer U.S., under Cole's leadership, made significant contributions to that effort. 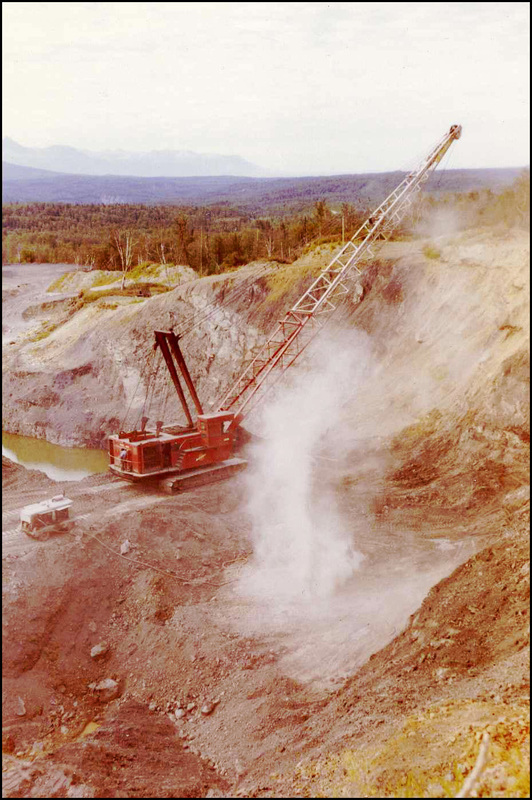 Cole provided leadership for the feasibility and development of the $50 million Golden Sunlight open pit mine and mill in Montana, which has operated continuously since 1983. Cole was also focused on the development of the Bald Mountain mine in Nevada at the same time, which also has operated continuously since commercial operations were achieved in 1986. In 1987, Placer Dome was formed when Placer Development merged with two other companies. 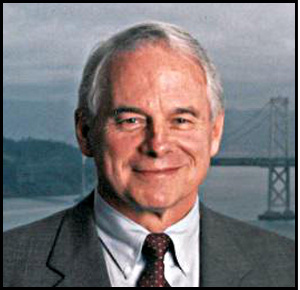 Cole was appointed President and CEO of Placer Dome U.S. in January 1987. Over the next eight years, he provided strong leadership and clear direction for U.S. operations and exploration. He also initiated and directed a program to maximize production from US operations resulting in approximately 200,000 ounces per year of gold production by the late 1980s. But some of his most exciting and rewarding times were experienced in the 1990s. Cole increased Placer Dome's ownership in the Cortez Joint Venture from 39.6 percent to 60.0 percent and later oversaw and directed an aggressive expansion of holdings in the Cortez area to explore several promising gold properties, culminating in the Pipeline discovery at Cortez in 1991. First production from this area was achieved in 1994 with the commissioning of the Crescent pit just prior to Cole's retirement. However, his efforts continued to pay dividends after his retirement as the Pipeline mine was commissioned in 1997, with nearly eight million ounces of gold in reserve, and was the lowest cost producer in the world in the late 1990s--with cash costs below $60 per ounce. It continues to be one of the world's most prolific gold mines today. Many have justly received credit for helping to realize the potential of the giant Donlin Creek gold deposit near Aniak in southwest Alaska, which constitutes one of the largest, undeveloped gold resources in the world. Cole spent many summers as a young man in the Ophir District, just 70 miles to the north, and was familiar with the historic Donlin placer and lode properties. He knew AMHF Inductee Bob Lyman, who mined placer gold in the area and explored the first lode claims there. As President of Placer Dome U.S. Inc., Cole made sure that adequate funds were provided to the firm's exploration work, until the important global gold resource was discovered there in 1995 by a Placer Dome team headed up by Richard Duncan. That deposit is now being developed by Barrick Gold Corporation with NovaGold Resources. Following his retirement from Placer Dome in 1995, Cole lived in an area north of Seattle, but later moved back to the San Francisco area to facilitate his wife's business needs. He enjoyed playing golf with George Cheek, well known in the forest products industry, who also spent his early years working in the Ophir area. Cole continued his involvement in the mining industry, serving as a Director on the Boards of NovaGold Resources, Canyon Copper, and Kinross Gold Corporation. He also served on the Board of Directors of BEMA Gold Corporation, which operated gold-silver mines in the Russian Federation. Up until his death, Cole McFarland was aggressively involved in a marketing proposal aimed at developing the Golden Horn gold-tungsten-silver claims in the Iditarod district along with claim owner and his long-time friends, the Miscovich family, and adjacent subsurface owner, Doyon Limited (see biography of John A. Miscovich). The late Toivo Rosander, who was inducted into the Alaska Mining Hall of Fame (AMHF) in 2012, and his son, Ron Rosander, recommended to the AMHF Honors Committee that Cole McFarland be inducted into the organization. "Cole was on my Board of Directors at NovaGold and I worked with him for years during my tenure at Placer Dome U.S. Inc. He was a real gentlemen and mentor to myself and a lot of people in the industry. Cole worked all over the world, but always had a soft spot in his heart for Alaska for obvious reasons." "I knew Cole McFarland for many years and I was on Placer's board when he was hired. Cole, myself, and Hugh Matheson shared a close kinship—all growing up in bush Alaska--who took our collective Alaskan mining experiences into the International mining arena". 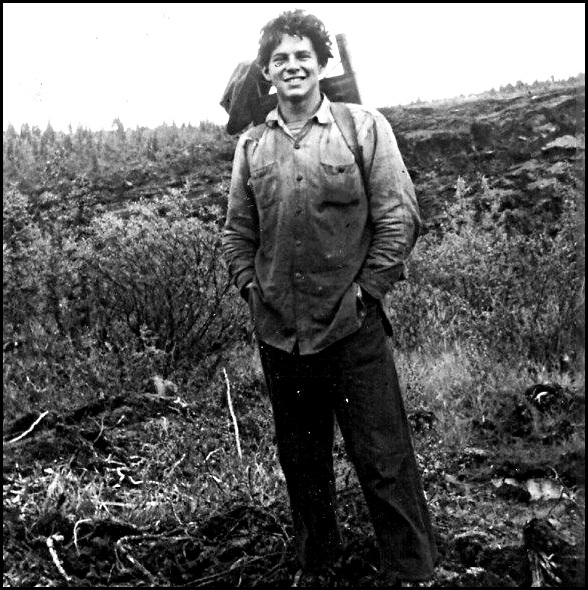 Cole Edwin McFarland will always be remembered for advocating consistent programs within his firm, Placer Dome U.S. Inc., that advanced the exploration and development of Alaska's mineral resources. Although he would move on from his humble roots in the Alaska placer mining and coal-mining fields and work internationally, his commitment to Alaska and its people will not be forgotten. Cole loved Alaska, and was an avid fisherman, skier, hunter and hiker. His favorite things were "looking for color", and hiking and exploring the Alaskan backcountry with his fellow Alaskan "old timers". Cole passed away peacefully July 17th, 2008 with his family by his side after a valiant fight with cancer. He is survived by son Bryan, daughter Roxie, grand daughters Ella Rose Maisano and Jaimie Madison McFarland and grandson Cole Anderson McFarland. Cheek, George, 2009, Epitaph for Ophir—A Novel About an Alaskan Mining Town: E-Book Time Publishers, LLC, Montgomery, Alabama, 402 pages. Staff, 1976, Corporate Outline--A booklet describing the International Activities of Placer Development, Limited and Placer AMEX, Inc., Its United States Subsidiary.